2013 has been nothing less than an adventurous second year for us. Even before the inception of eGarage we have been very fortunate to participate in this annual industry gathering by showcasing a few of our own vehicles. 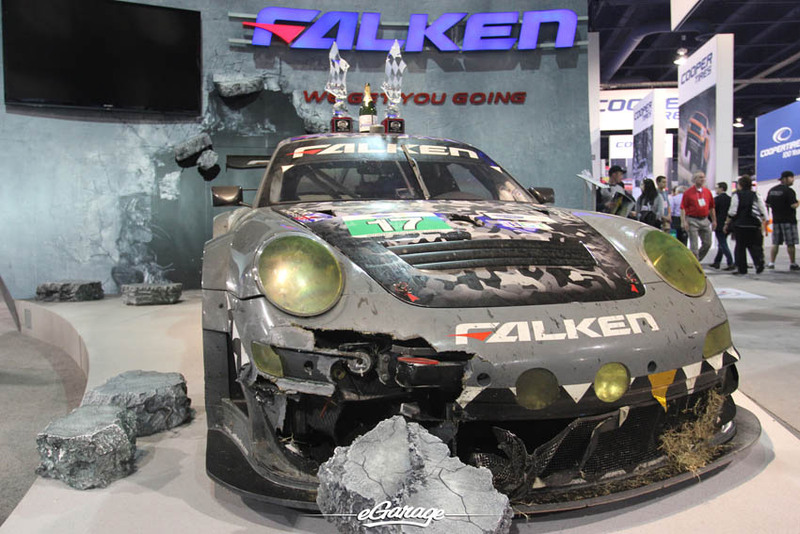 As enthusiasts first and filmmakers second, the Automotive SEMA summit always serves for the absolute best networking venue and allows us to make introductions for future collaborations. Over the past decade, we have seen an industry hit hard with ups and downs. 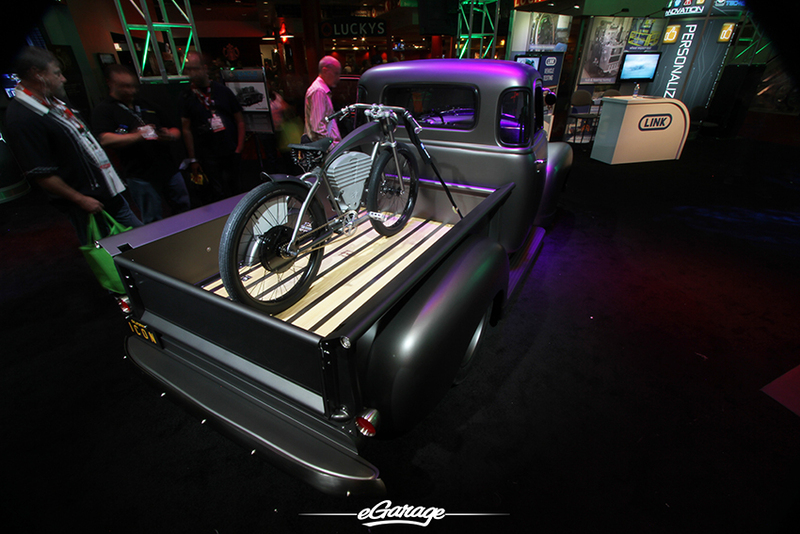 SEMA Show 2013 was recorded as the largest event, according to attendance and exhibitors, to date. 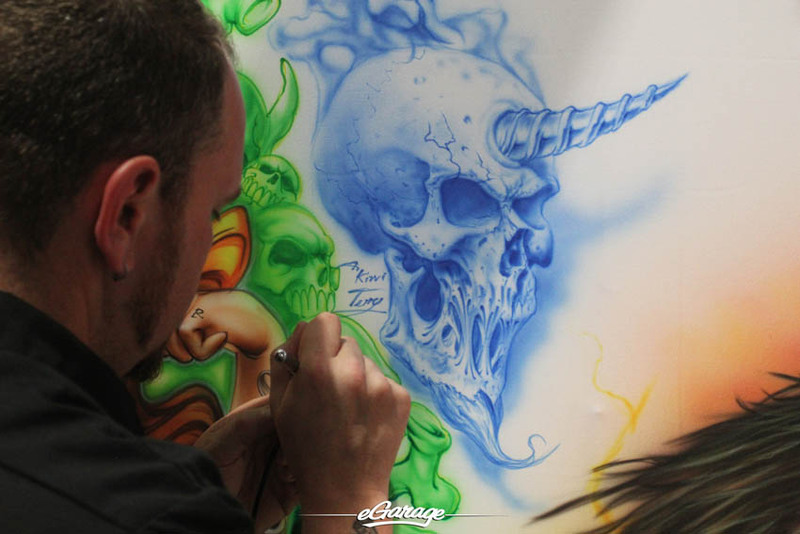 Manufacturers, tuners, builders, collectors, music and TV stars all gathered in one place to celebrate the most colorful Automotive assembly in Las Vegas ever! 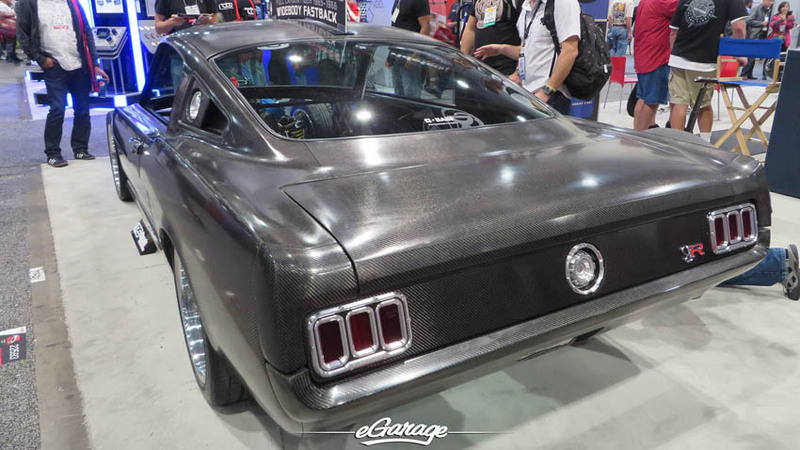 The Ring Brothers brought out some heat again this year with a full Carbon bodied 64-65 Mustang. Onlookers were continuously running fingers across the body, exclaiming that “it’s a vinyl wrap” or “it’s not real carbon.” But this is what Mike and Jim Ring of the Ring Brothers are best at. Mike Ring told us, “We are just a small shop in Wisconsin. We still run our own collision repair shop and we don’t give much thought to what people are going say about our projects. We just try to have fun with all of it.” The Ring Brothers are perpetually working, thinking outside the box and yet staying innovative by keeping things simple. 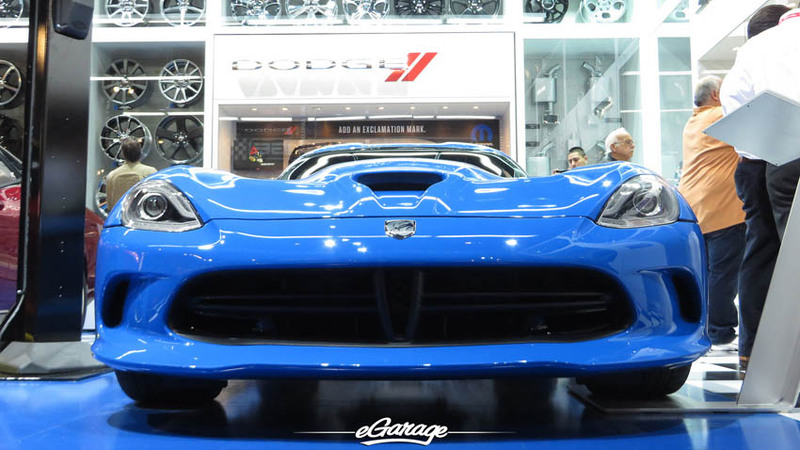 Ralph Gilles and his team did a great job of showcasing their new SRT Viper color and they have managed to establish themselves as a truly interactive network by allowing their fans to name this color through social media outlets. Over 11,000 possible names were entered and the 3 finalists are Competition Blue, Overtaking Blue and Viral Blue. 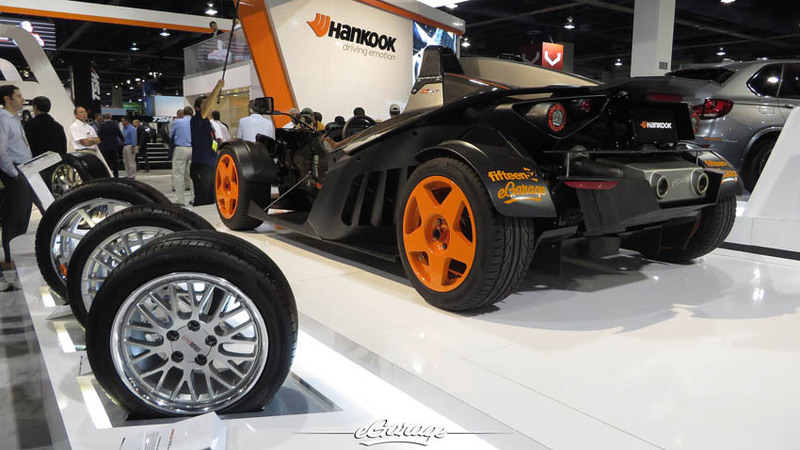 This year we showcased a full carbon KTM X-Bow with Hankook Tires on a fresh set of Fifteen 52 Tarmac wheels. 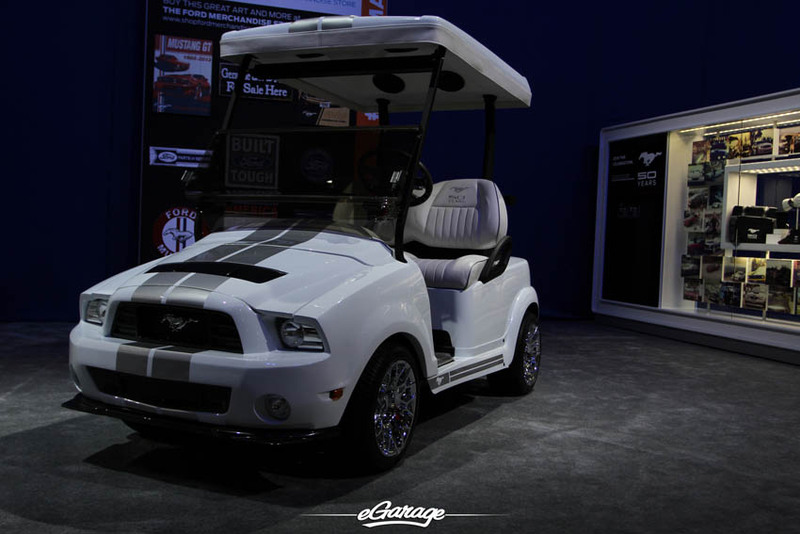 Like some SEMA display vehicles, this feature happened very quickly and just a week before the event. These last minute audibles are better known to many of us as “the SEMA Scramble.” HRE Performance Wheels brought out the strongest line up of any company for 2013. 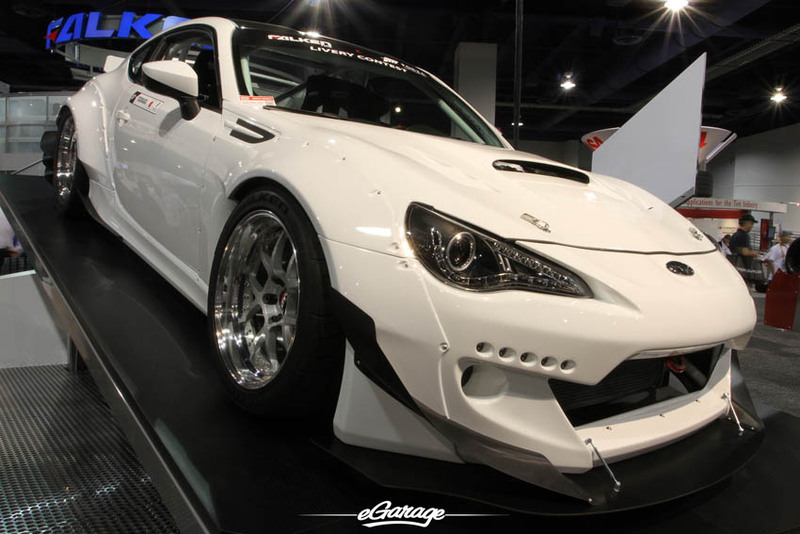 This years SEMA showcase further solidified HRE Wheels as the leader in the aftermarket wheel industry. HRE Featured Exotic, Luxury and Muscle cars. The Pure Vision Camaro won the very prestigious GM Design Award. 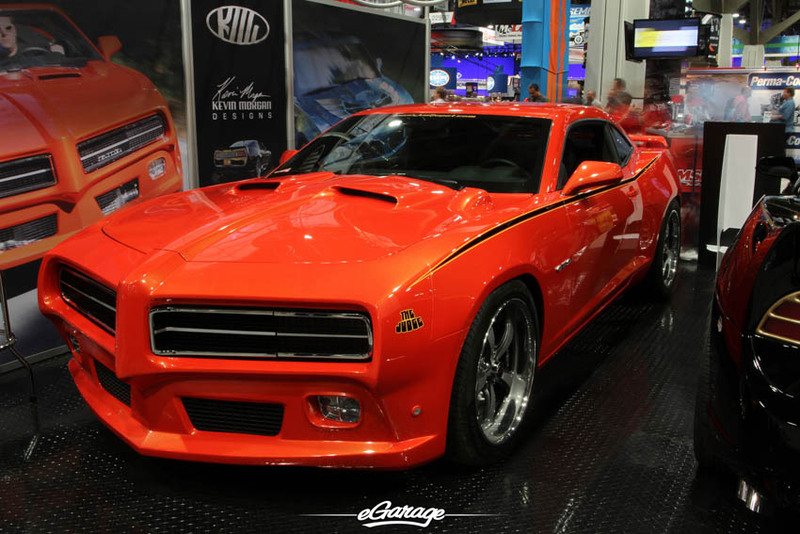 The 1972 Camaro is held down with extra lightweight HRE competition wheels in a nice copper finish. Having recently released Not Your Fathers Ford (VIDEO), it was nice to catch up with Jeb from Cutworm Specialties to talk in great detail about the Aluminum Dually and to further talk about what he has in the pipeline. 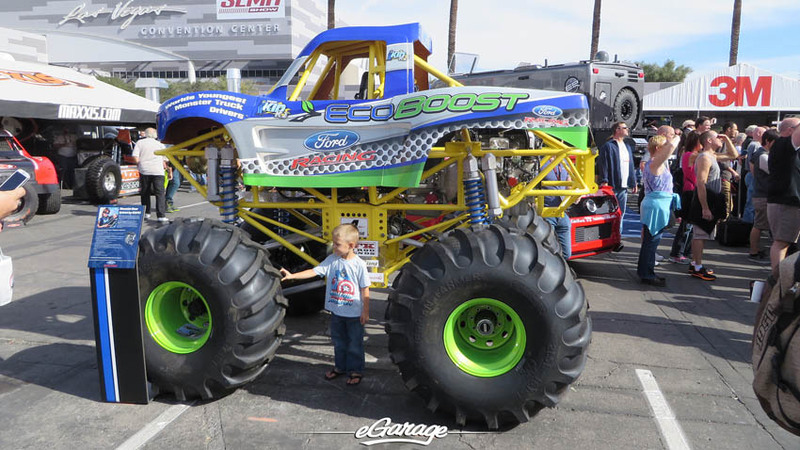 Thanks to a UPS contest, Jeb was able to bring this handbuilt, from scratch creation to Las Vegas. 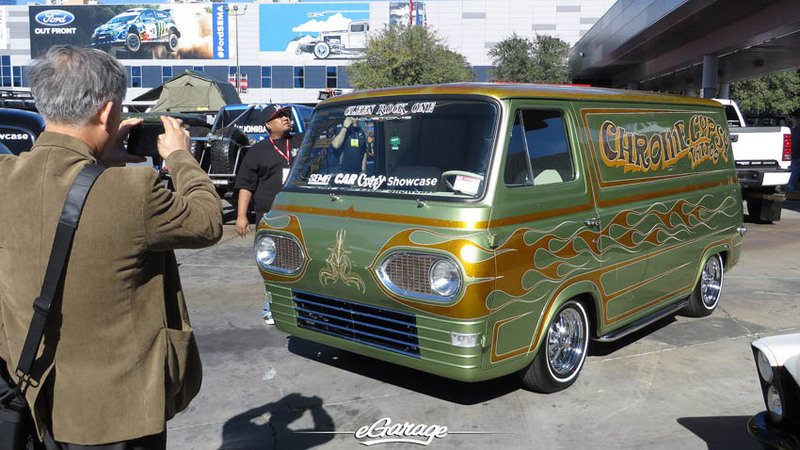 Having never seen the SEMA Show before, he was like a kid in a candy store. Welcome to the wonderful world of Automotive Jeb, you’ve earned your spot with the Dually, buckle up for an amazing ride! 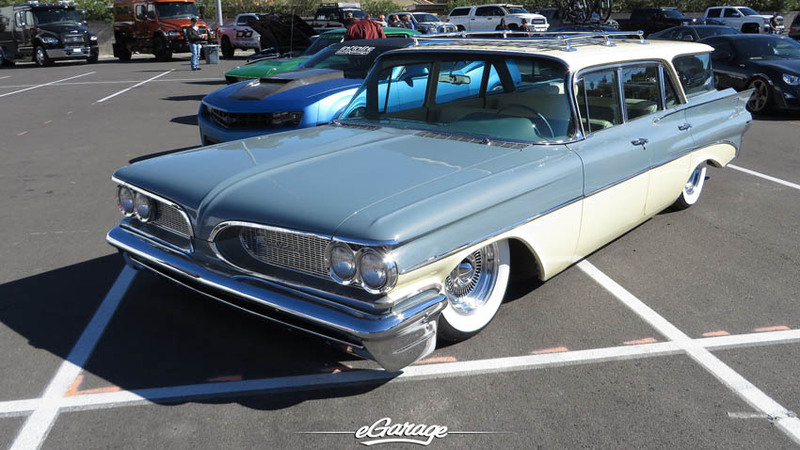 Accuair Suspension provided very low if no ground clearance to a variety of vehicles peppered throughout the millions of square feet at SEMA. 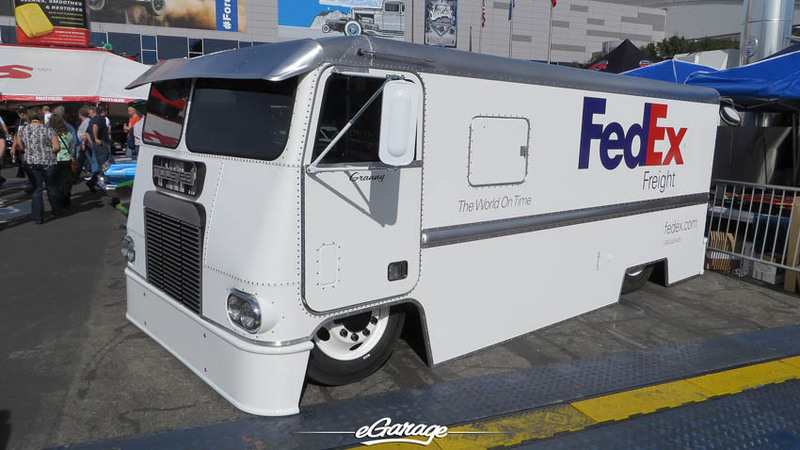 The FedEx Delivery Freight Truck (custom built by MobSteel) was the talk of the town and quite simply an outstandingly fresh take on something ordinary. 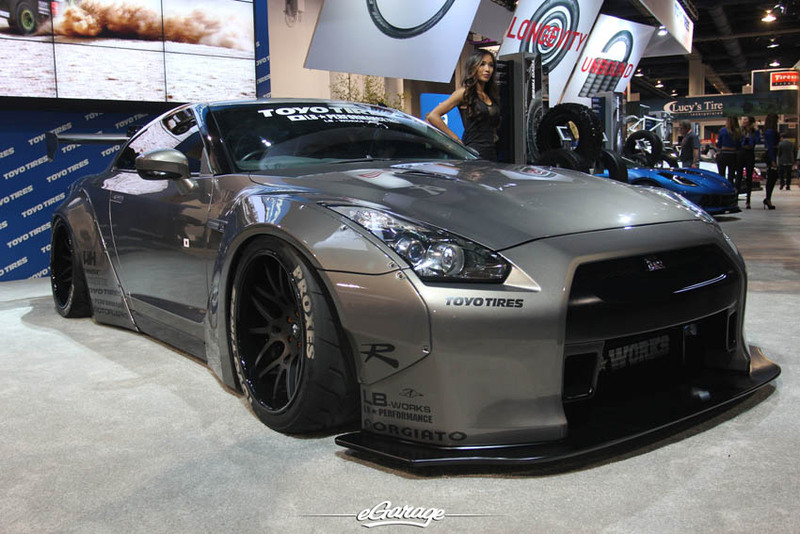 Liberty Walk (LB PERFORMANCE) has managed to make a wonderful name for itself throughout 2013 with a delightful spectrum of cars made to fit the Japanese mold of shakotan style on modern cars. 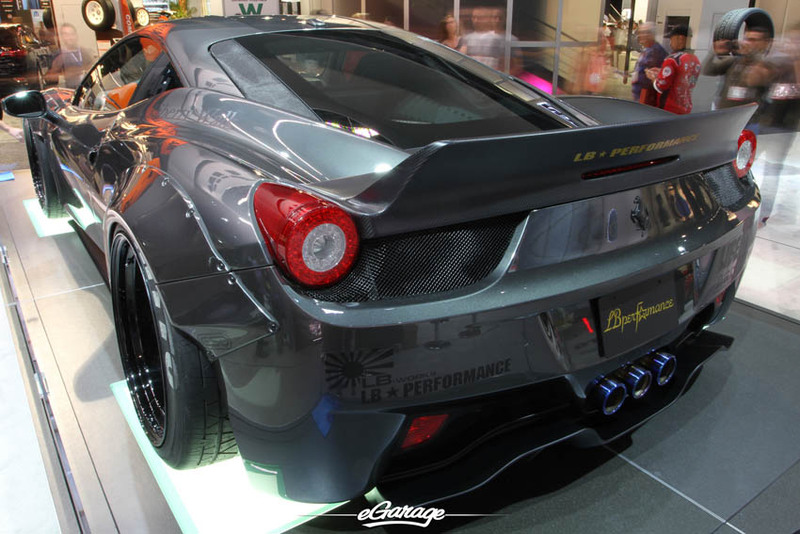 Their wide and low Ferrari 458 could have possibly been one of the most photographed cars this year. 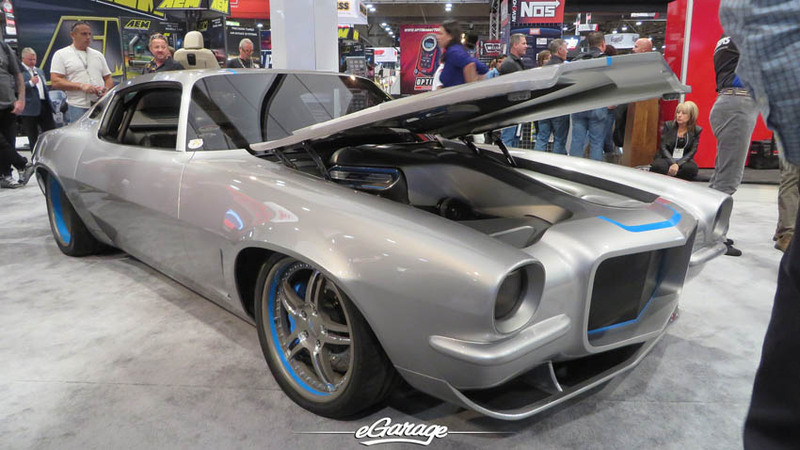 This year had a recurring theme from display to display with custom builds tuning early 70’s Camaro’s and an array of aftermarket products for the new production 2014 Corvette Stingray. There was quite the facebook and instagram buzz around a Tiffany colored 964 Porsche. Another favorite of the mouth-foaming SEMA enthusiasts – Rotiform‘s modern take on the Fuchs wheels felt like a quiet punch to the gut in person. This year we saw many more uncompleted vehicles than normal. 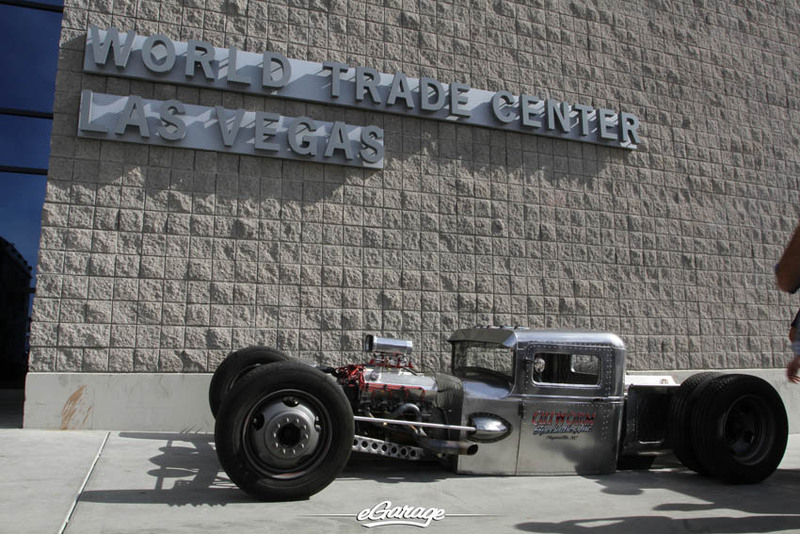 Nelson Racing Engines proved once again that bare metal cars are a huge hit with the raw purists. NRE’s mirror image turbo charged, unfinished Dodge Charger known as Maximus should put down a couple thousand horsepower. It is always good to see Pagani in America. For many people this was their first time seeing the wonderful supercar in person. 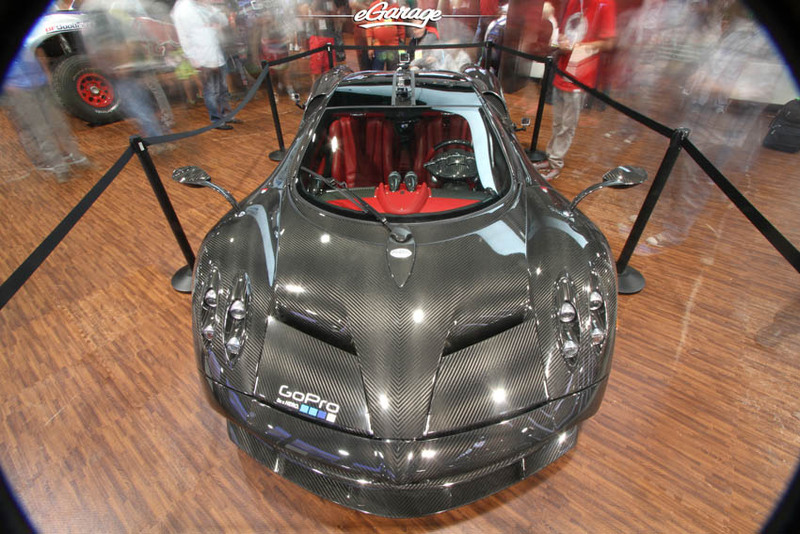 The Full Carbon Huayra found a home nestled in the GoPro area with a continuous flow of blinking eyes and flashing cameras. Luca Venturi from Pagani told us “This is our demo car and it has a strict schedule for 2013-2014. It is an honor to have this Pagani available for people to see in person and it is a wonderful example of the Huayra for potential customers to experience here in the United States.” Another revered tuner visiting from the land of the rising Sun was also in attendance. This year our friend Nakai-San of Rough World Begriff brought a wonderfully fresh take on his RWB styling with a Ruby Redstone wide body 964. 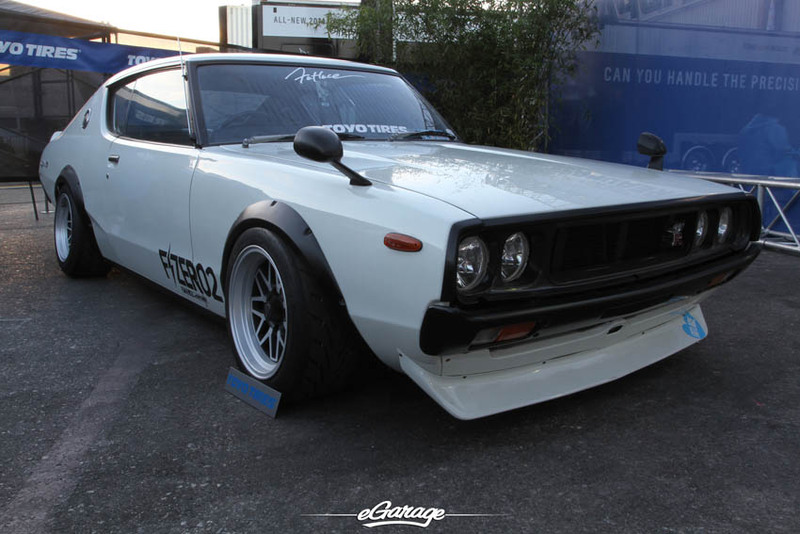 Built at the Fatlace Paddock in California this one only known as 競騎士 “Battle Knight” from a super old School Japanese Car Team. Its characters translate to “As Rough World before roots of rough unity”. The Wheels and Tires South Hall has grown exponentially. 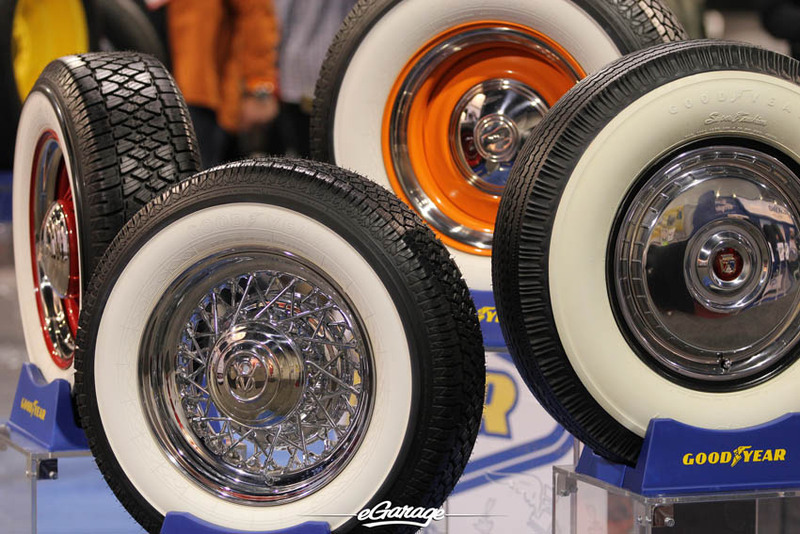 From classic style wheels to newly craze colored tires it is a mecca of mind altering madness. 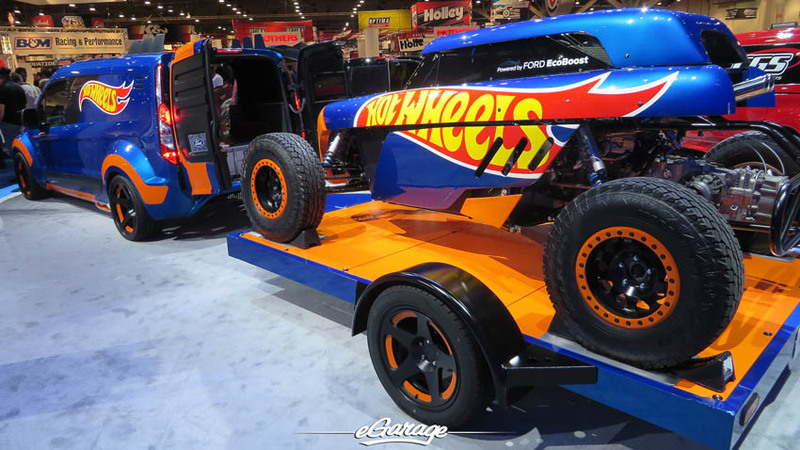 In order to devote accurate and acute attention to this wheel wonderland anyone would need an entire 8 hour SEMA day to devote strictly to this one exhibit hall. 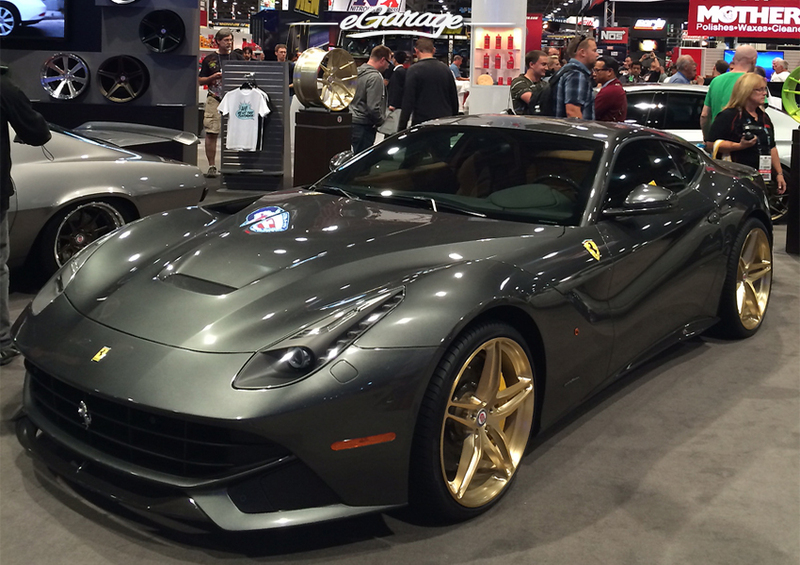 This year has been by far the most attended, most exhibited SEMA Show of all time. Each hall was packed tight and every square inch of the Convention Center inside and out was spoken for with aisles just wide enough to walk through. Between the event itself, the parties after, the meetings, press conferences and surrounding events, Las Vegas for just a week is Motor City of its own.